A new bill in the Massachusetts state Legislature would address what law enforcement officials, and even tow yard operators, see as a dangerous loophole that allows those recovering from an overdose to immediately pick up their vehicle if it was towed. The bill, filed by state Rep. Michael Day of Stoneham, would restrict those found overdosing in their vehicles from retrieving their vehicle from the tow yards for 12 hours, just like in alcohol-related incidents. Existing law allows people who overdose, but are not arrested, to pick up their vehicle at any time, even if they had just walked out of the hospital. "I have no idea if they’re still having effects of it or not," said Chris Nowlan, who runs Automotive Technology and Transportation in Billerica. He said he may tow a car from an overdose scene and have the driver trying to get it back within the hour, possibly with drugs still coursing through their system. He worries most about "people crashing out on the drugs and crashing into people, cars, kids," after picking up their cars. That led him to the Middlesex district attorney’s office, where he said he pleaded with them to bring the law about drug-related tows in line with alcohol-related tows. A state law, popularly known as Melanie’s Law, forbids tow yards from releasing a person’s car if it is towed in an alcohol case for at least 12 hours to keep drunk people from getting back behind the wheel. But there is no provision for drug cases. Police who respond to overdoses often do not arrest people who overdose in their cars, but are not driving. 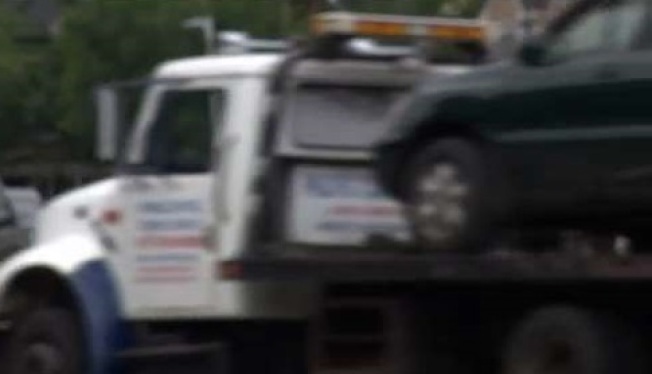 Instead, the person is sent to the hospital and their vehicle is towed away. At some point, either by first responders or by hospital staff, the person receives Narcan to reverse the overdose. "Very often people are unhappy to have been Narcaned because they’ve been brought out of this good high that brought on the overdose, so they’re very anxious to get drugs," said Middlesex District Attorney Marian Ryan. "So they may be walking out (of the hospital) 15 minutes later." Cities and towns are dealing with more overdoses in recent years. Quincy Police Sergeant Dennis Maloney says his officers respond to at least five overdoses a week. "Anyone who’s intoxicated behind the wheel, whether it’s alcohol or drugs, it’s a 4,000 pound weapon and they can do a ton of damage," he said. Day’s bill and has been sent to the Joint Committee on Transportation for review.